Spa is created to provide a relaxing retreat away from the busy, stressful environment. I love going to the spa. I do visit once a month, sometimes call for a home service spa treatment. BlueWater Day Spa is one of my go-to-spa. With several branches located in Makati, Ortigas and Eastwood, it's easier and more convenient to visit anytime I wanted to. 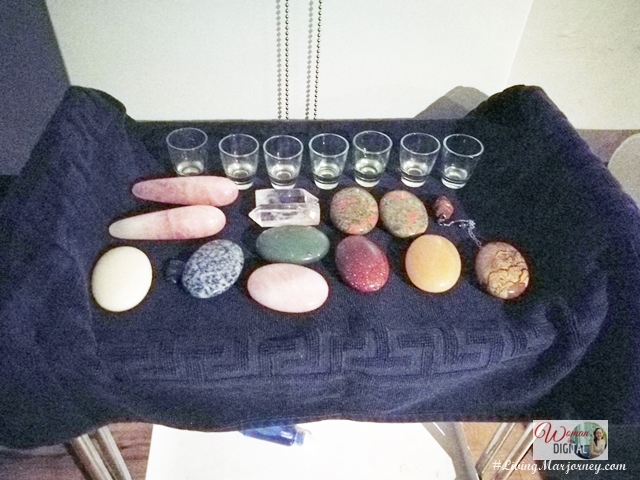 Last month, I had the Chakra Aromatherapy Massage. It's a type of treatment that uses hot stone. Upon entering BlueWater Day, I feel light and ready for the much needed relaxation. The smell of oil and music calms my body and mind. Swedish massage is my favorite treatment. Apart from the treatments, I always enjoy using the facilities such as the dry sauna. 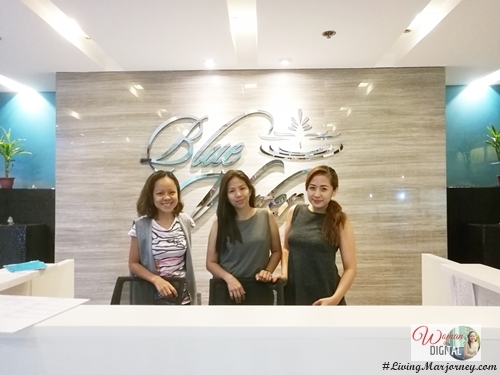 Yesterday, my friends and I visited Ortigas branch for the much needed massage. I had the Green Tea Body Scrub which uses of course, green tea. While my friends had the Cellulite Melter, it's a kind of body massage too but with different strokes. Prior to the treatment, we enjoyed the health benefits of the sauna. The sweat helps remove toxins and improves the circulation. It also helps in muscle relaxation. The entire Green Tea body scrub lasted 90 minutes (Php 1,200). My whole body was gently scrubbed from neck to foot. Then the therapist left me in the room to allow the green tea worked on my skin. After 20 minutes, I rinsed my body with warm water. The treatment ended with a soothing body lotion. Other types of body scrub is the intensive whitening. It's okay to treat yourself with a relaxing massage or body scrub once in a while. Not only that it removes fatigue and body aches, it also changes our mood and gets us ready for a brand new day. Share your comments and reaction. Join My "Commenter of the Month"
Leave a Comment & Win Exciting Prizes! This blog is managed by www.DigitalCircles.asia, a social media marketing agency. For Ads, Partnerships, Collaborations & Event Coverages, product review deliveries & personal inquires email LivingMarjorney@gmail.com. All Rights Reserved 2010-2015. All Photos & Articles by Marjorie Uy for www.livingmarjorney.com. Powered by Blogger. For Ads, Partnerships, Collaborations & Event Coverages email DigitalCirclesAsia@gmail.com with the SUBJECT "[Woman In Digital]".